There have been several decades of research on the ground effect of rotor, and a lot of theoretical and experimental research results have been published. This kind of research is still continuing, mainly because of its practical value. The rotorcraft has obvious ground effect when hovering near the ground or flying forward at low speed, which has a strong influence on the aerodynamic load of the aircraft. In order to research the ground effect problem of rotor aircraft, a ground effi-ciency simulation force measuring system is designed by using various sizes of the rotor model. The rotor hovering altitude was simulated, the lift of rotor was measured by force measuring system and the particle smoke device was installed to capture the dynamic flow field under the rotor. The experimental results show that when the rotor hovers below 1.2 times the diameter of the rotor, the ground effect is significant, and obvious vortex fountain phenomenon is observed. The experimental results have some reference value for the selection of dynamic system, the design of control and stability system, and the use of ground effect to improve the bearing capacity of rotorcraft. 高正, 戴世增, 杨金川. 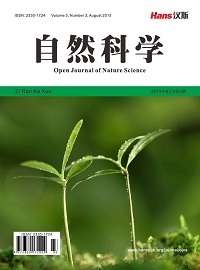 悬停旋翼地面效应研究[J]. 飞行力学, 1988(3): 20-26. 杨美, 杨韡, 杨志刚. 地效翼地面粘性效应风洞试验研究[J]. 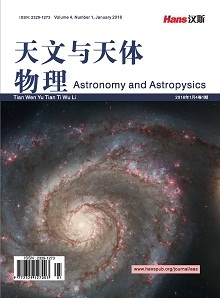 空气动力学学报, 2015, 33(1): 82-86. 王岱峰, 代钦, 近自由表面对称翼型气动特性的实验研究[J]. 水动力学研究与进展, 2010, 25(5): 703-710. 应成炯, 杨韡, 杨志刚． 地面效应下机翼失速数值模拟[J]. 飞行力学, 2010, 28(5): 9-12. 杨晖. 地效飞机的发展和展望[J]. 飞行力学, 2001(1): 13-17. 李明, 王玉成. 直升机动态地效空气动力学试验研究[J]. 直升机技术, 2008(3): 116-120. 袁红刚. 直升机旋翼模型气动特性试验研究[D]: [硕士学位论文]. 北京: 国防科学技术大学, 2007.